Newports Institute of Communications and Economics strongly emphasizes on the need of professionally trained and experienced faculty members so that their valuable knowledge and experience can be shared and transferred to the future business leadership. 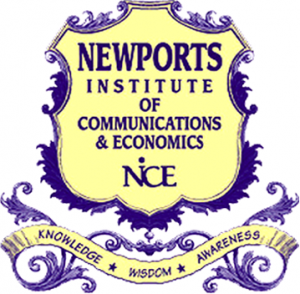 It is in this context that Newports Institute of Communications and Economics maintains a panel of highly qualified faculty members, most of them holding a Ph.D. degree from local and foreign universities. Students seeking admissions will have to fulfil following minimum conditions. Thanks for visiting our site which is compatible of Universities Admissions and details. We provide the best information about NICE Admission 2018. Name. Farhan Habib S/o. Habib Ur Rehman MBA MIS Session.2008-2010 ID.No.MIS.MBA.0064 Serial No.A-1976. This is moin i was the student of new port i also did not get certificate and degree both.if you get degree now so please reply me as soon as possible. Name. Ayesha Sultana D/o. Abdul Ghaffar Khan Master in Computer Science. Session.2004-2006. Dear Ayesha Sultana you come to the university for getting degree certification or any other letter. University has not sent any type of letter to your home address. If you want to get registered degree from HEC. Then see the list of approved universities from HEC. All the universities which are mentioned in the approved list get approved degrees from HEC. When new admission announced then we have updated on the website. Fee Structure will be updated in the prospectus. Admission will be started last date of form submission 27 Dec. When the summer admission 2015 held? It should be expected to announced in 2015 June/July. For this query you contact to admission cell of Newport university. I want to knw the fees structure for MBA and you give any discount in fees ?